Confused by all the crypto investment jargon and unsolicited ‘pump and dump strategies’? 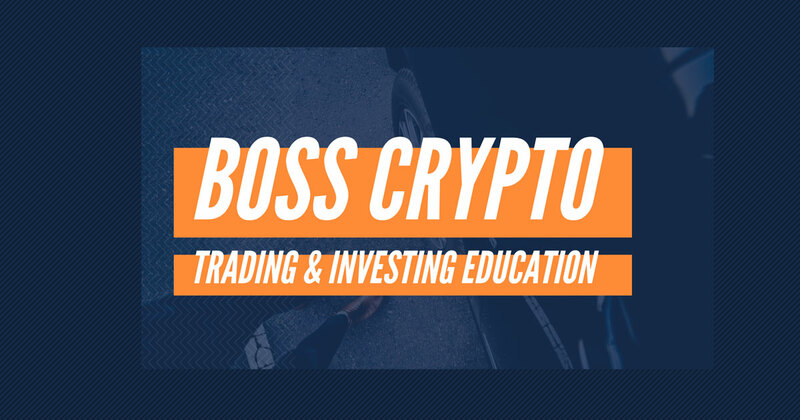 Let’s take a look at Boss Crypto, an educational platform for the overwhelmed traders and investors to learn, grow and improve their returns consistently. Market Analysis – offering exclusive access to market analysis by experienced traders letting you know where the market is heading and how to trade it. Live Portfolio – Live access to the Boss Crypto Portfolio which you can view all the coins being held and trading strategies. Exclusive Course – The Crypto trading course teaching you curated, simple and informative lessons from basics of blockchain to advanced Technical Analysis. 24/7 Support Network – Access to the slack group community in which discussions can be had about crypto, blockchain, trading and more with 24/7 support. Boss Crypto Started out initially as a slack group. Their community began growing rapidly and realized the need for providing the community with a structured education platform and investment portfolio to supplement the discussions and trading strategies that were being had. They pride themselves on being more than just an education platform and rather an engaged community where you can discuss anything blockchain, crypto, trading and more whilst having experienced traders offering trading and investment support. With the structured yet flexible education modules, 24/7 support, Live Crypto Portfolio and an active community – Boss Crypto aims to offer an all in one Crypto hub. 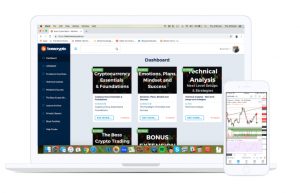 The Crypto Trading course is a structured yet flexible system where users can take the journey from learning about the basics of Blockchain and Cryptocurrencies all the way through to learning Technical Analysis and trading investment strategies. The aim of the course is to provide a curated, timely and worthwhile experience with the 6 week course goal of teaching members ‘how to win’. The course allows you to learn anytime, anywhere and whatever you like with multiple training formats – including online, downloadable, social, live and simulated material. One of the key differences of Boss Crypto is the level of support and engagement in the community. Whether you are wanting to discuss your own trades, what is happening in the market, what others are doing or anything else – there is 24/7 support along with a community of others more than happy to help. The Slack Group is an easy and quick way to get a response and works great in complimentary with going through the education platform, creating your portfolio or trading. With the 30 day free trial you will get access to this Slack Group and begin being involved in the community. What is important in these platforms is real results. Boss Crypto is a system where by there is no lock in contracts and the only reason the community stays strong is due to results and the feeling of having a support network 24/7. Being over 2300% up since inception the results are showcased within the Slack discussions and live portfolio/trades are given to members. The portfolio and results are very transparent and you can view some of the results here. We have partnered with Boss Crypto to offer our users a 30 day free trial of the entire course, live portfolio, market analysis and slack discussion community!